It&apos;s officially fall. Autumn means boots and sweaters, colorful leaves and crisp cool days. It&apos;s my favorite season. While we don&apos;t get much fall weather here in Arizona (I&apos;m usually sipping some Prickly Pear Margaritas), it&apos;s still my favorite. 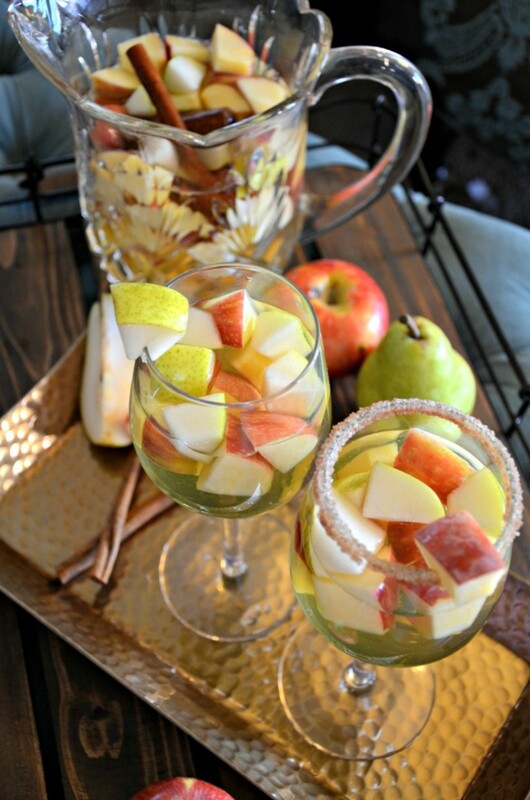 I still like to pretend it&apos;s fall and I&apos;ve created a yummy apple-pie sangria that&apos;s perfect for autumn. I&apos;ve been shopping at HomeGoods for some new fall decor, like my new favorite "it&apos;s fall y&apos;all" throw pillow to spruce up my living room. 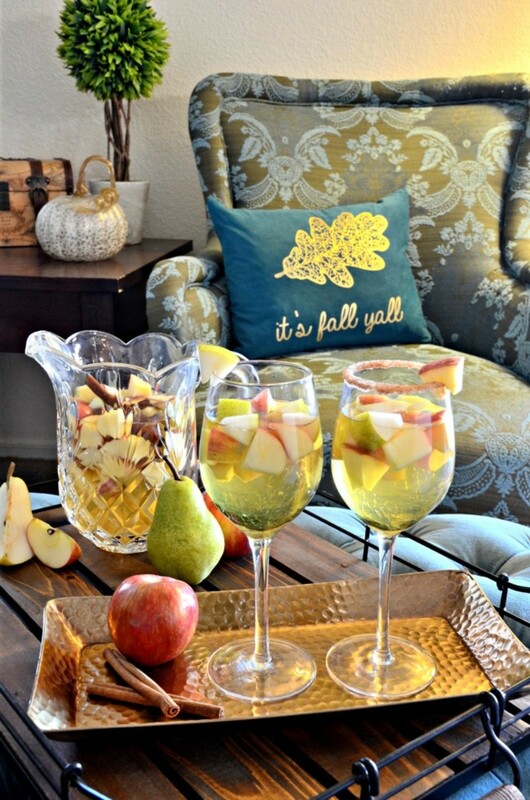 The cactus around these parts don&apos;t change colors in the Fall, but with my new decor and my apple-pie sangria, it&apos;s starting to feel like it is really fall. 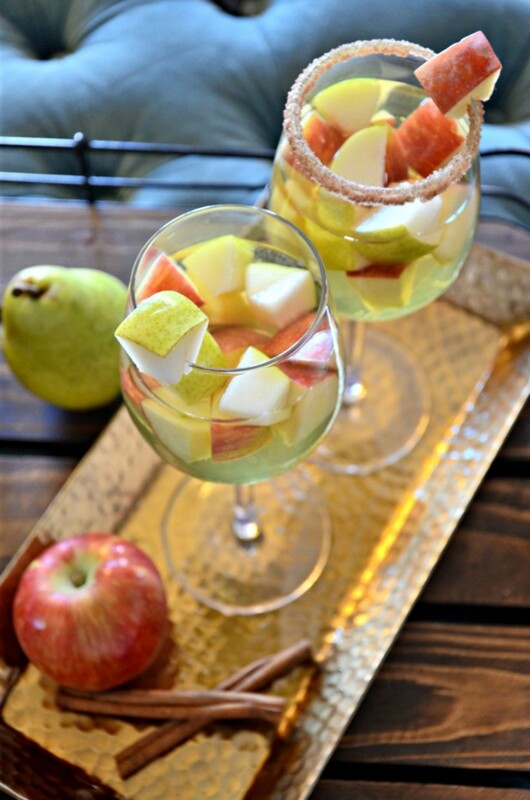 Infused with the flavors of apples, pears, cinnamon and cloves, this sangria is delicious and potent! 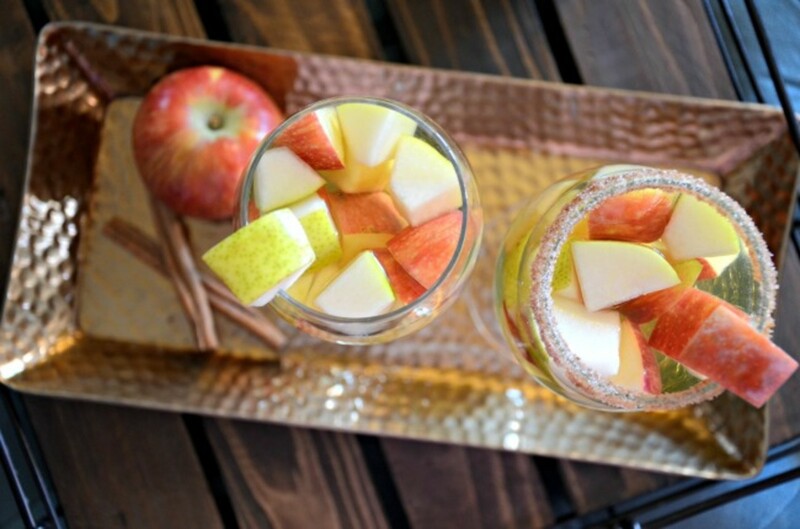 A few sips of this apple-pie sangria, and you&apos;ll be feeling warm and cozy in no time. 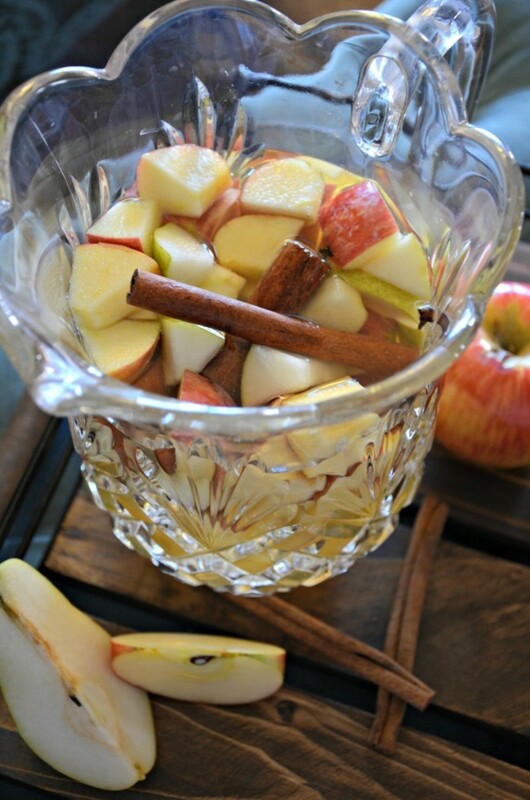 Chop your fruit and put into a large pitcher. 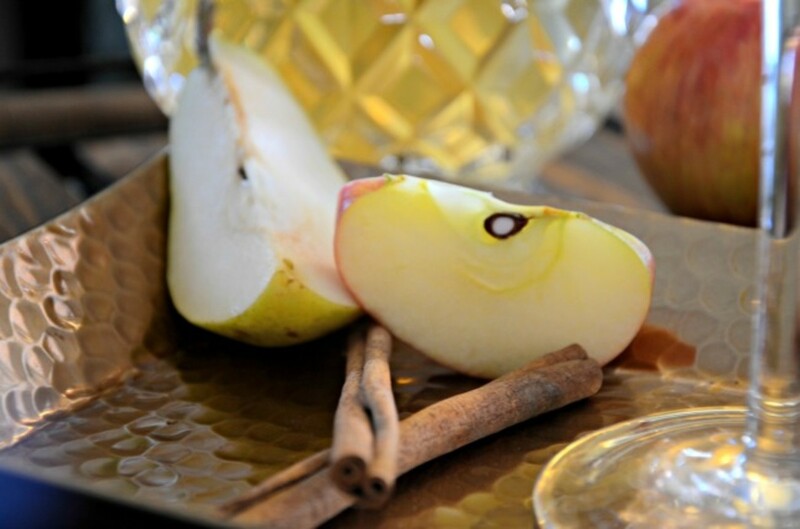 Pour in your bottle of wine, the moonshine, brandy, cinnamon sticks, and cloves. Chill in the refrigerator for 12-24 hours. Remove the cinnamon sticks and cloves before serving. 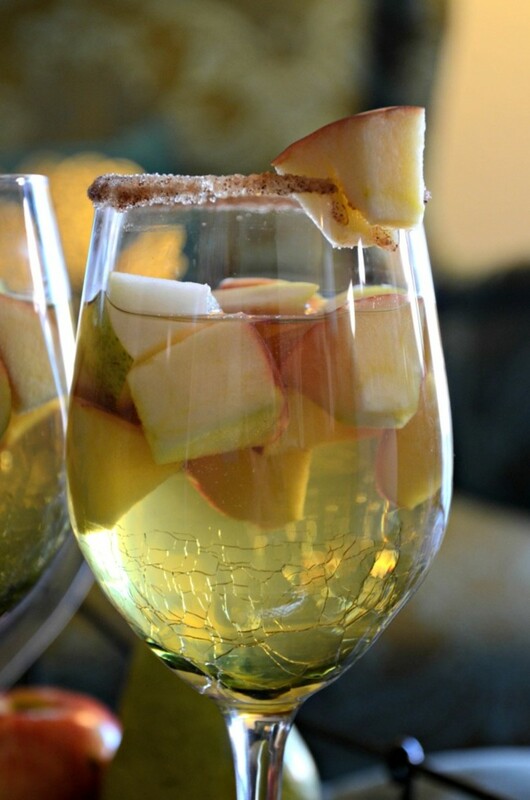 My husband enjoyed it plain, but I tried it in a glass rimmed with cinnamon sugar and it was even better. Just mix 2-parts sugar with 1-part cinnamon and a dash of ground cloves. The thing about sangria is that it&apos;s easy and yummy and makes a pretty presentation. 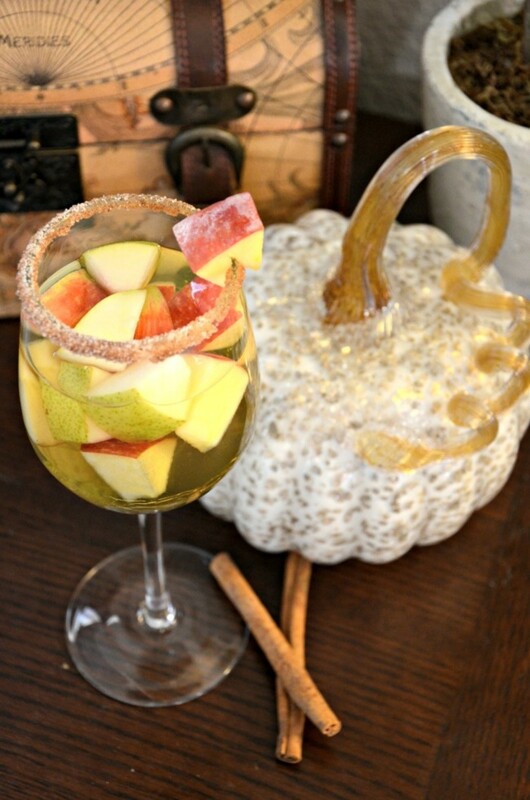 It really started to feel like fall in my house with my pretty glass pumpkin from HomeGoods and a big glass of my apple-pie sangria. 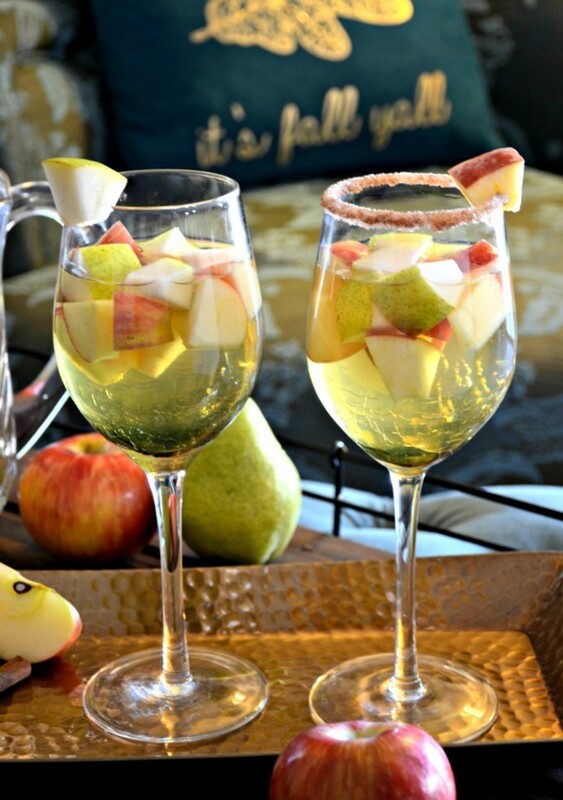 I can&apos;t wait to serve this autumn sangria to family and friends at Thanksgiving. Not quite ready to embrace the fall? 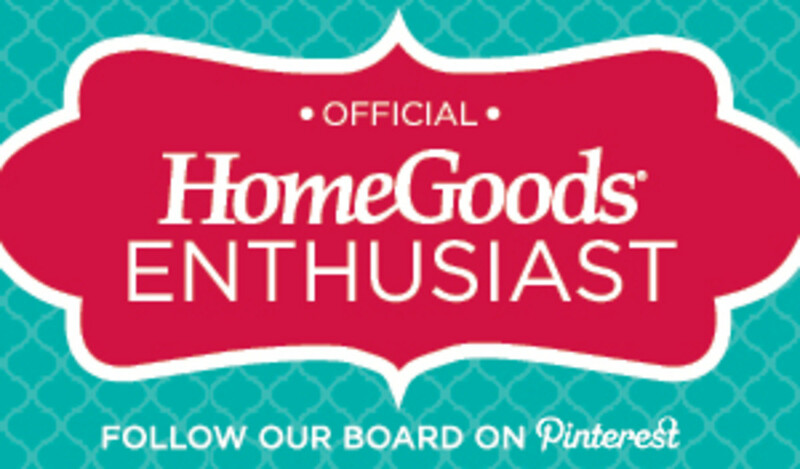 Our friends at Momtrends are sipping on a spiked Arnold Palmer cocktail this Saturday. Check out the recipe HERE.